It all starts with the powerful seed! 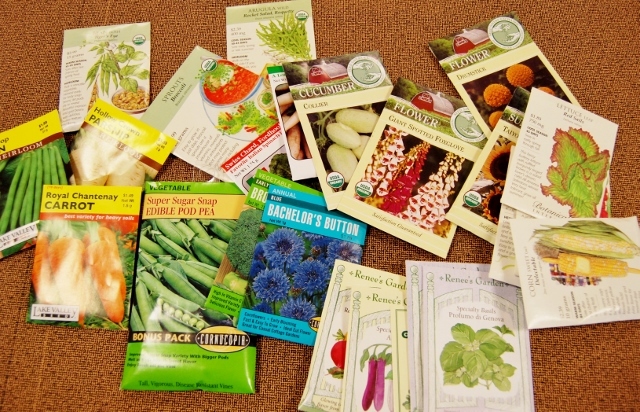 Stop in now to select your new garden seeds. It’s a great way to think about spring. You’ll find several seed companies represented: Renee’s Garden Seeds, Cornucopia, Lake Valley, Botanical Interests, Seed Savers Exchange, Northrup King and more to come. Within you’ll find old favorites, small companies, heirlooms, new varieties, non-GMO and organic seeds. Of course, we have planning and seed starting assistance available. Planning for trees & shrubs too? We can still answer your special or large order questions for trees and shrubs. If you’re planning a large project or want bare-root stock, please call or or stop by to speak to Brad, our nursery manager, for best availability.